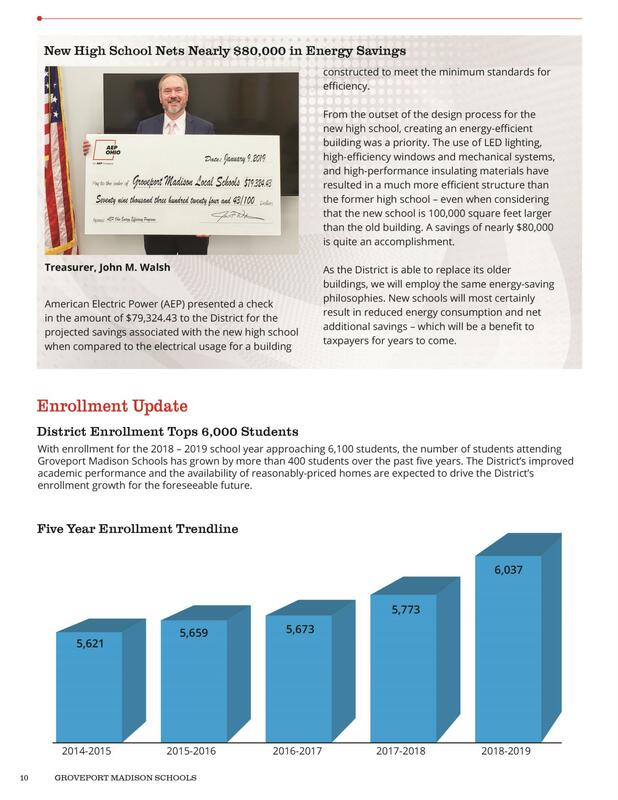 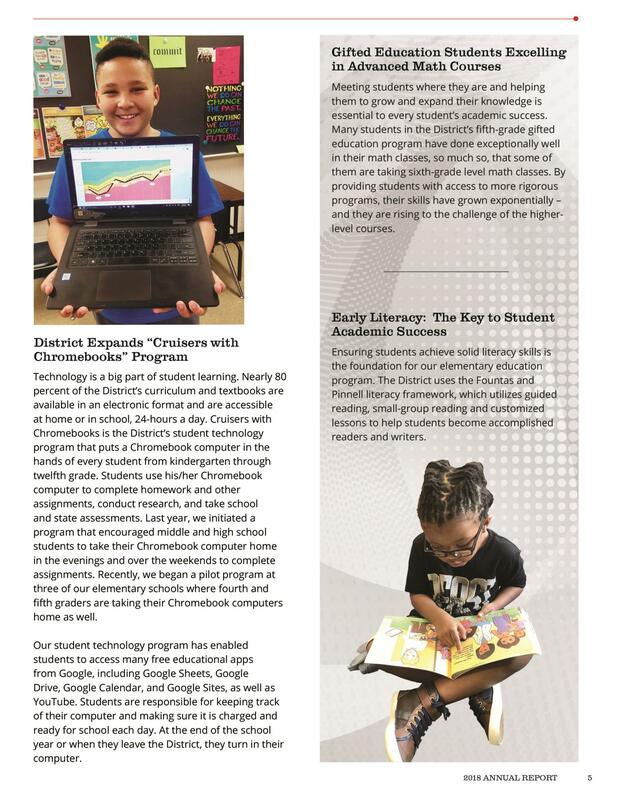 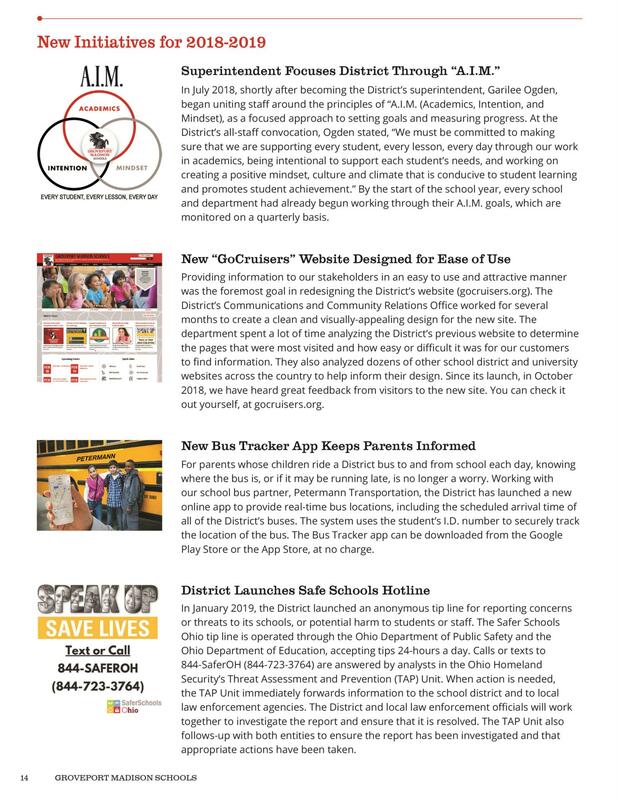 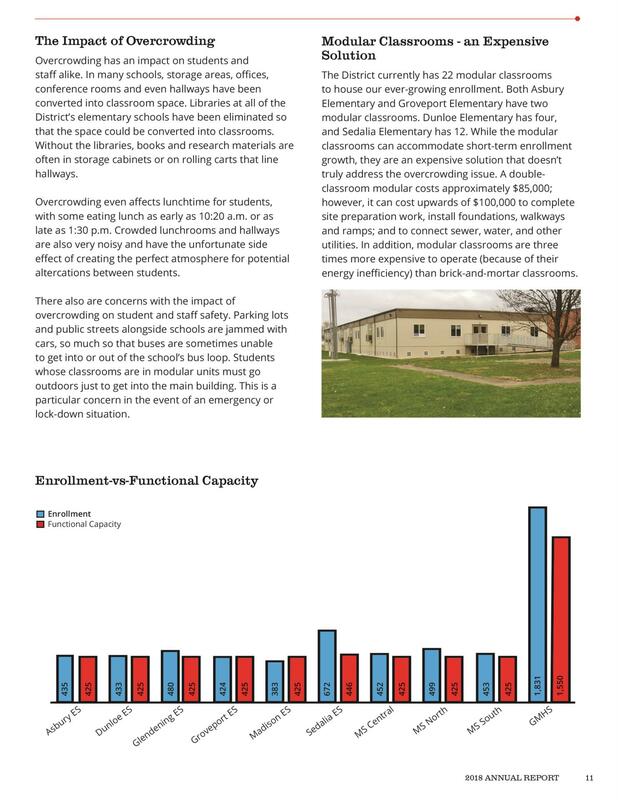 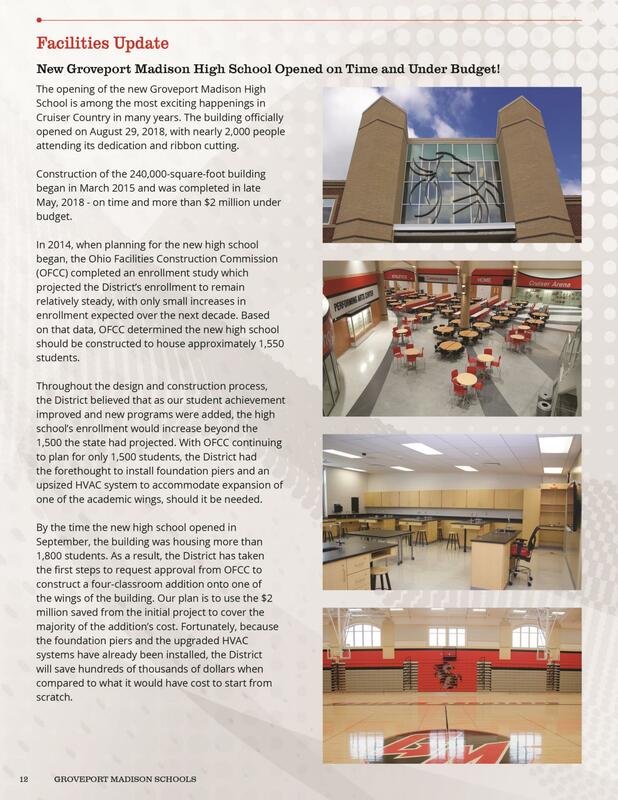 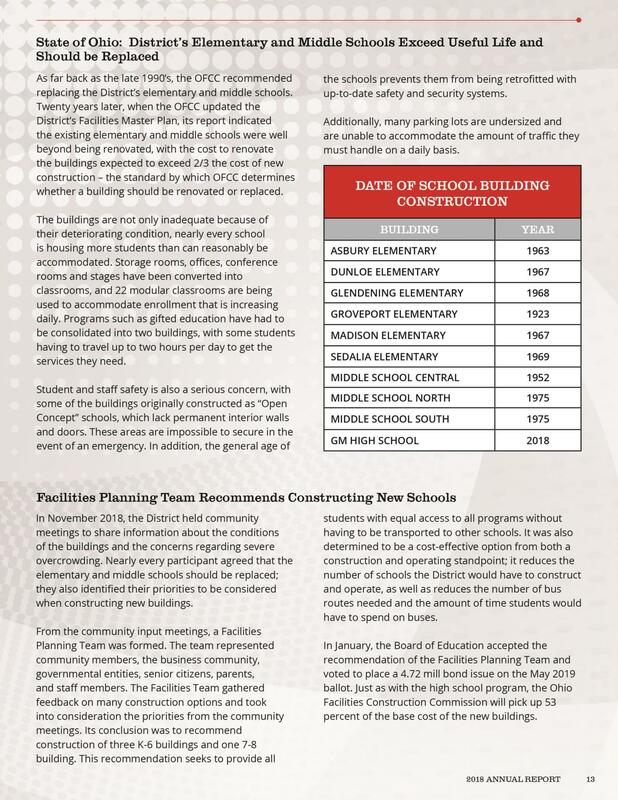 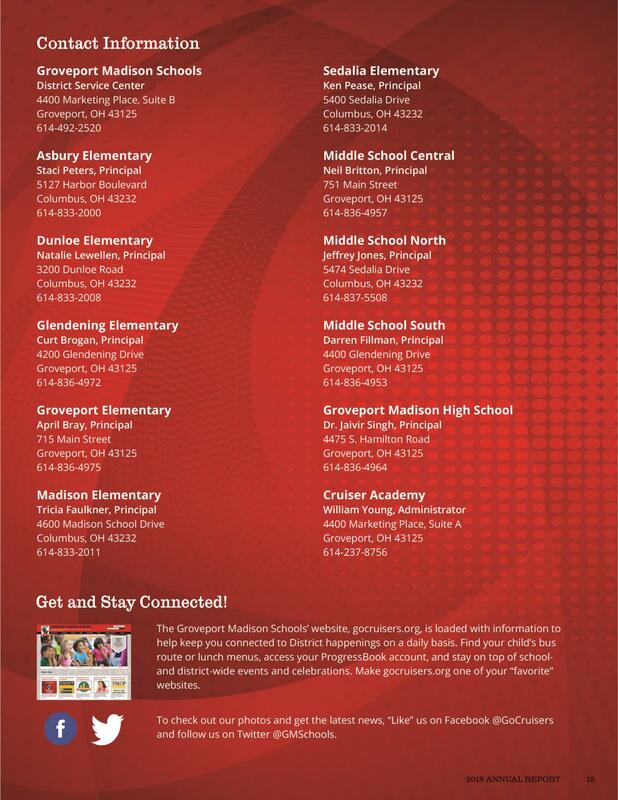 We're excited about the progress that's being made in Groveport Madison Schools. 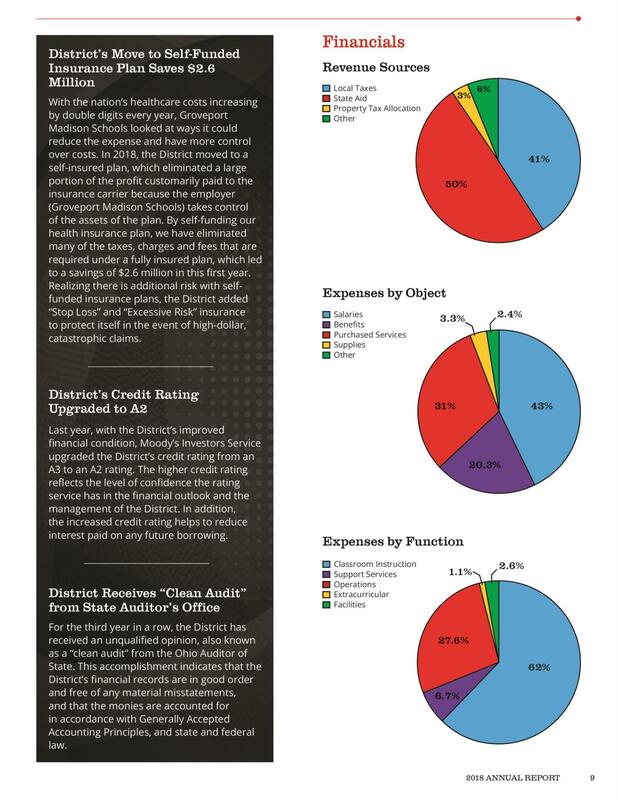 The State of Ohio Report Cards can tell only a small part of the story when looking at any school district. 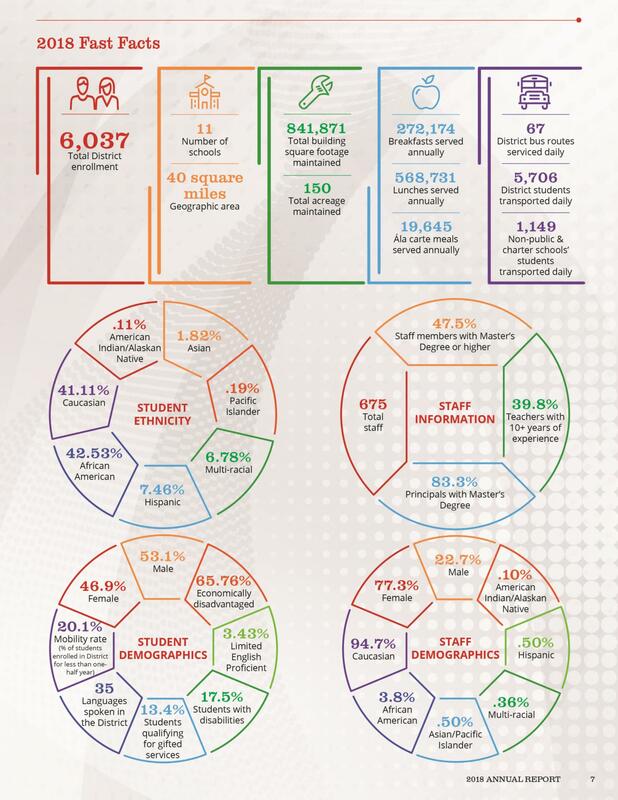 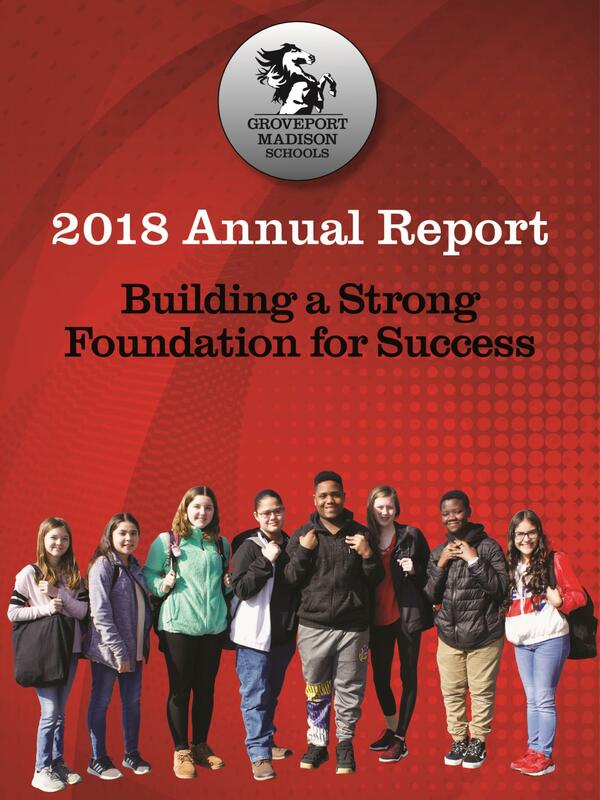 We are very pleased to provide you with additional information via our 2018 Annual Report. 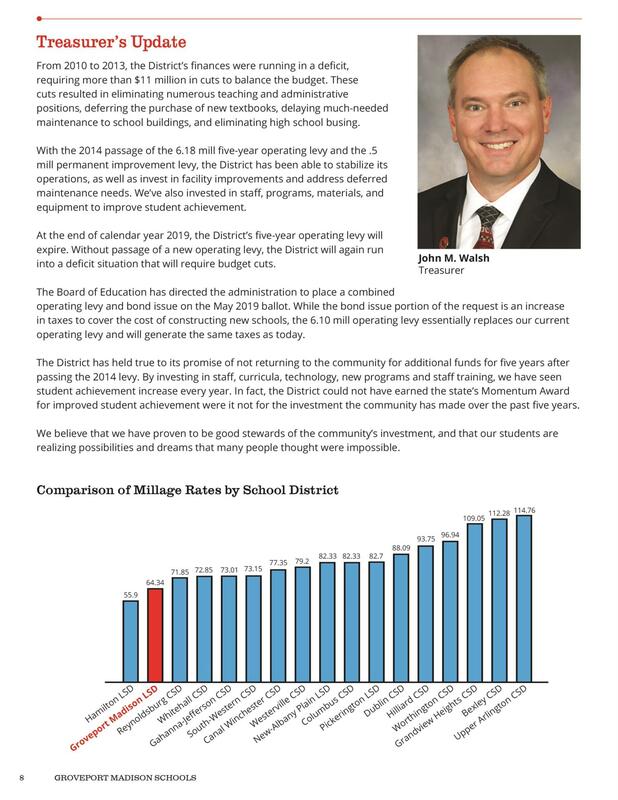 This report captures our commitments, successes, initiatives, and future directions, as well as insights into our finances, enrollment trends, and facility needs. 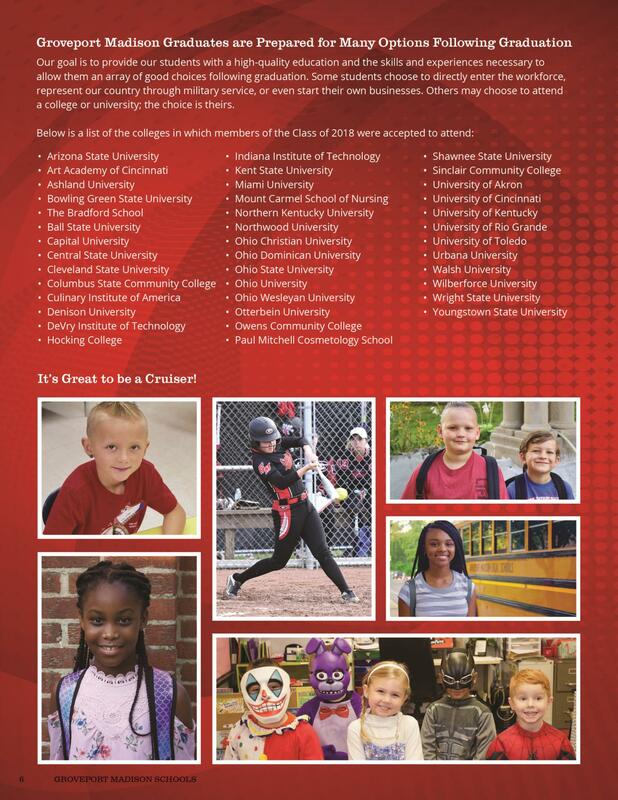 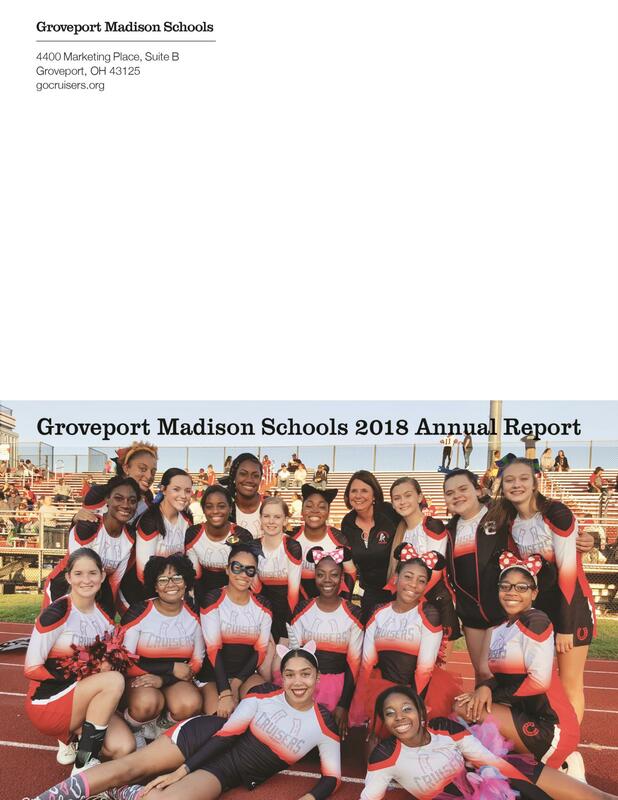 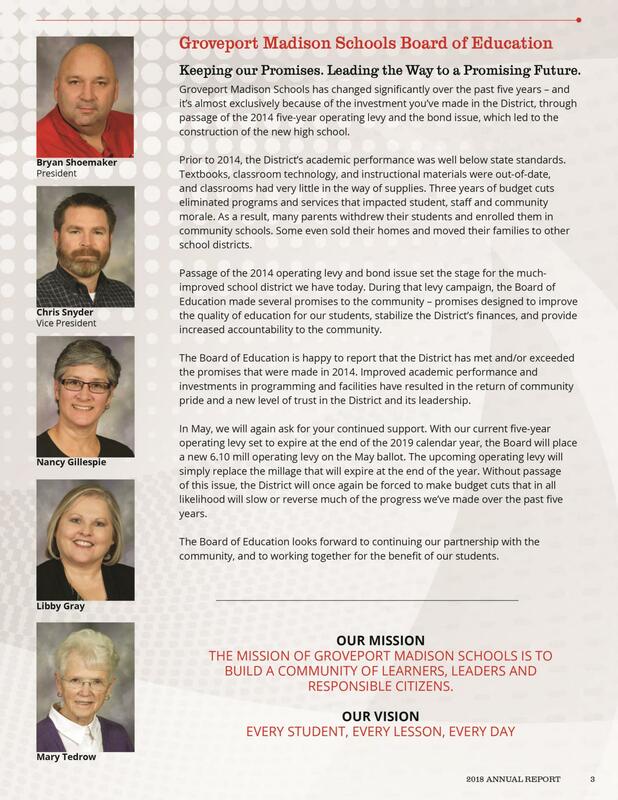 Thank you for your support of Groveport Madison Schools. 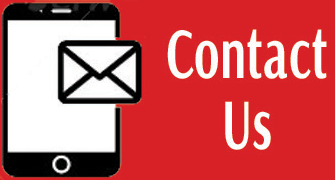 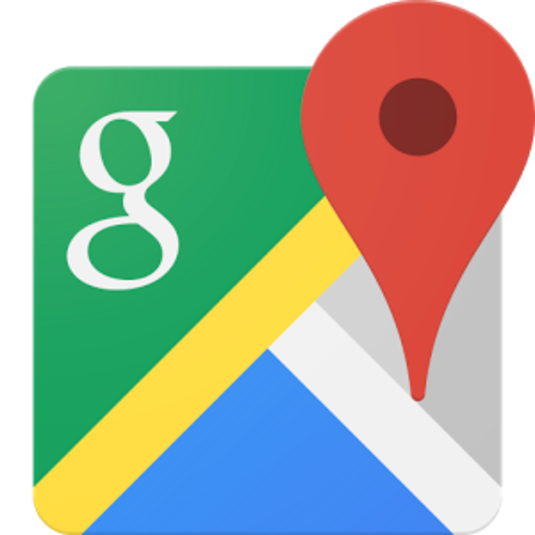 If we can be of assistance in any way, feel free to contact our Communications Office at gm.communications@gocruisers.org, or call us at 614-492-2520.